Fergus finalises new deal BulldogsTV spoke to Fergus Greene after agreeing to terms on a new one-year contract extension, keeping him at the Kennel until the end of the 2019 season. The Western Bulldogs have secured young forward Fergus Greene until at least the end of the 2019 season. The 20-year-old has agreed to a one-year contract extension after being elevated to the senior team and impressing in three senior appearances in recent weeks. 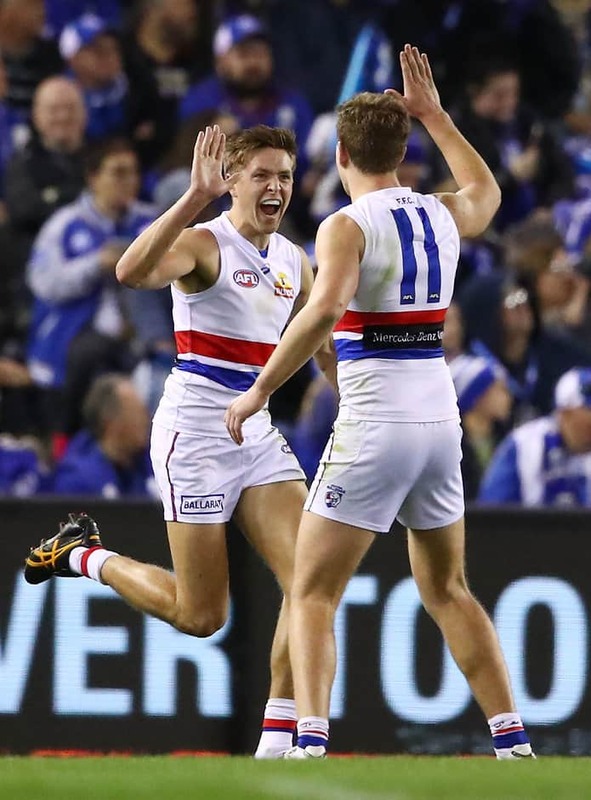 Greene, drafted with pick 70 in the 2016 NAB AFL Draft, got his chance against Port Adelaide in Round 19 and has kicked a goal in each of his three outings for the Dogs. “We’re really excited to extend Fergus’ contract and we’re looking forward to seeing what he can produce into the future,” said Bulldogs’ General Manager of List and Recruiting, Sam Power. “Fergus worked really hard to earn his opportunity at senior level, and he’s already shown everyone the traits we hope will make him a regular contributor in the team in the years to come. Before getting his chance in the AFL team, Greene booted 18 goals in 14 appearances in the VFL, kicking multiple goals on six occasions. “I was able to get a little bit of form going in the VFL, and to pull a couple of games late in the AFL has been really exciting,” Greene said. “Building my contested game has been big for me, and playing to my strengths and continuing to build them and not just rely on them to get me through.